Before getting started, I just want to offer congratulations to Joshua, Jason, and everyone that participated in Single Cask Nation’s #GivingTuesday event. A highly commendable $20,000 was raised for various charities. You should all be very proud. I’ve said it many times before … 2018 has been an incredible year for Wild Turkey. From stellar Russell’s Reserve Single Barrel private selections to Master’s Keep Revival, Eddie Russell is showing the world what real Kentucky bourbon whiskey is all about. And while Jimmy’s not contemplating retirement, the reins in so many ways have been handed to Eddie. Folks, Eddie Russell has found his stride. He doesn’t walk the same as Jimmy. He doesn’t talk the same as Jimmy. But make no mistake – the bourbon and rye that Eddie is bringing to the market now will be reminisced with equally high regard for generations to come. Need more proof? Maybe this year hasn’t done enough to convince you. How about an independent bottler? How about a company outside of the Campari and Wild Turkey inner circle? How about two everyday fellas who simply love whiskey with all of their hearts? Of course, I’m referring to Joshua Hatton and Jason Johnstone-Yellin of the Jewish Whisky Company and their society that’s open to all, Single Cask Nation. My first experience with the Jewish Whisky Company came courtesy of author Aaron Goldfarb, as he shared the last of his treasured 2016 Whisky Jewbilee Wild Turkey bottle. I was sincerely grateful and impressed and it didn’t take long before I was exchanging emails with Joshua Hatton. Not only was I impressed with the bourbon, I was delighted with Joshua’s willingness to entertain my questions and offer boundless insight into his company, its mission, and the role of his faith. I was a fan from day one and remain a die-hard fan to this day. It’s astonishing how things work out. Call it chance, call it fate, but just has Aaron’s gesture of kindness opened a door to some amazing conversations (and whiskey! ), Joshua and Jason experienced an altogether different, yet fortuitously similar twist. You see, about this time last year I learned that Wild Turkey accidentally sent the JWC an incorrect barrel. As a result, Joshua and Jason traveled back to the distillery for new selections. Those “redo” barrels ended up becoming this year’s Single Cask Nation 9-year rickhouse D and K releases. But all the while, little did I know that Joshua and Jason never refused the original accidental barrel. They’d tasted it, realized its potential, and racked it in their bottling warehouse for additional aging. Yes, it’s astonishing how things work out. You know what else is astonishing? The impact of another year of maturation. Amazing things. Wondrous things. Mind-boggling, extraordinarily tasty things. I think I’ll stop right there. No need to get ahead of the whiskey. It’s time to sketch out this tasting and start providing some relative context. Let’s pour! Overall: Bravo Joshua and Jason! This may be the best modern Wild Turkey single barrel I’ve ever had the pleasure of tasting. You know what? I’m certain of it. Folks may disagree with me (and I’m sure some will, as this bourbon is quite intense) but I can’t help but give my honest opinion here. This 10-year Single Cask Nation K selection is everything I look for in a Wild Turkey bourbon – immense complexity, near-perfect maturity, and remarkable balance despite its weight and potency. In other words … so damn delicious. While Joshua and Jason certainly deserve recognition for a quality barrel selection, they deserve even more credit for realizing this “accidental” barrel’s potential when originally offered it. Based on the success of past Jewish Whisky Company Wild Turkey releases, they could’ve easily accepted the 9-year whiskey as-is, bottled it, and sold those bottles in a matter of minutes. Yet they didn’t. Instead they trusted their gut, agreed that the whiskey could be better, and allowed it to age another year. They cared more about the whiskey itself than a profitable product in-hand. It was somewhat of a gamble too, as time in a barrel isn’t always a good thing. Luckily, in this case it more than worked out. This is one exemplary bourbon whiskey. Not only should the fellas at Single Cask Nation be proud, but Eddie Russell and the entire crew at Wild Turkey should be as well. This is quality. This is damn fine bourbon. If only I could share a pour with the world! Closing thoughts: Speaking of sharing with the world, it was recently brought to my attention that I often review releases that few consumers will have the chance of purchasing (this Single Cask Nation bottle undoubtedly fits that category). It was a comment that stuck with me and gave me cause for reflection. The last thing I want to do is alienate my readers, or even worse, appear as a whiskey blogger for the elite. In fact, I only want the opposite. The simple truth is, I review whiskeys that interest me, as they interest me. Good or bad, if I find something worth saying I’m going to try my best to get it down on paper. When it comes to single-barrel expressions, Wild Turkey or otherwise, any review (by anyone) is arguably unique to a specific barrel/bottle that few will have the chance to purchase. Sure, anyone can buy McKenna BiB, Blanton’s, Evan Williams Single Barrel, etc., yet only a few hundred (or less) will share the exact same tasting experience. That’s what single-barrel whiskey is all about. And while this Single Cask Nation K selection is unique in proof compared to other current single-barrel Wild Turkey releases, it doesn’t mean that better barrels aren’t out there – on shelves or aging in rickhouses. In fact, I know there are better barrels out there. There always will be. You just have to go out and find them. 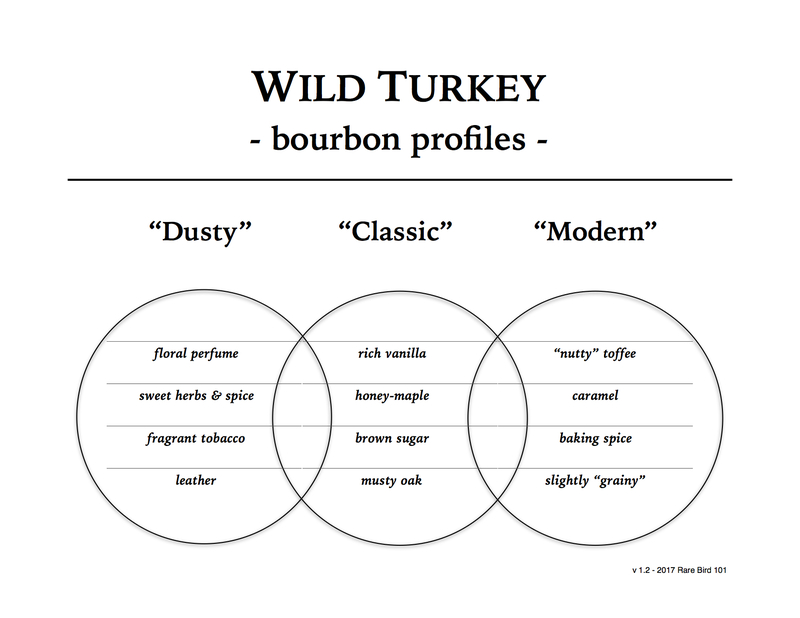 At the end of the day, I sincerely hope my reviews (at the very least) help to provide a source of reference for what is or may be available in the grand scope of Wild Turkey. They’re purely subjective, far from perfect, yet represent my honest thoughts on what I experience. It’s the best I can do and I have considerable fun doing it. It’s my goal to see that as far into the future as Turkey will take me. Cheers to all! Sounds absolutely delicious! I’m really looking forward to opening my sample. Thanks Jon. Shoot me an email sometime!